This post is the 'Ask the great questions essential for sustaining shared-view' chapter of the book. 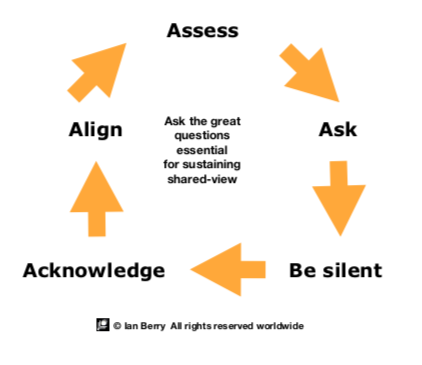 In business it's essential to sustain shared-view in 7 areas of significance. Do so and I can guarantee you better business results at less human and business cost. 1. Where are you now (reality)? 2. Where are you going (possibility)? 3. Why are you going there (purpose)? 4. How will you get there (strategy)? 5. Who will do what and when (execution)? 6. How will you know you're on track (milestones and lead metrics)? 7. How will you behave along the way (culture and values)? 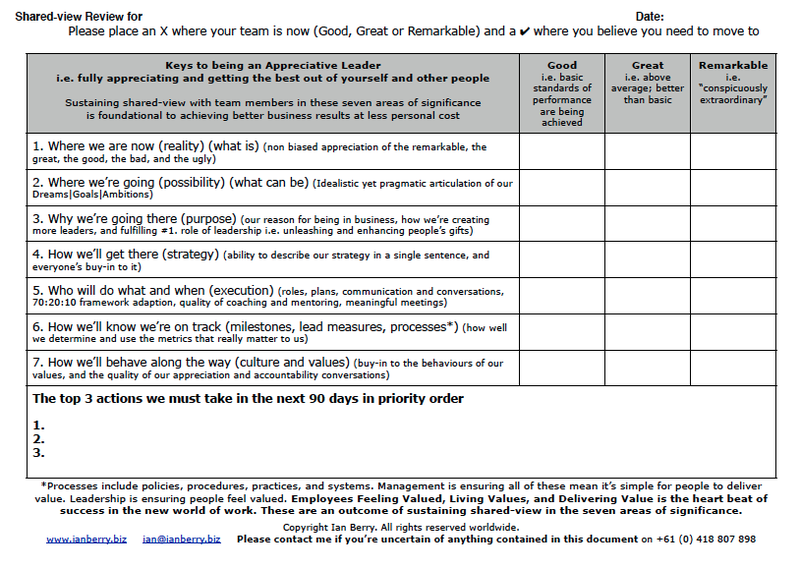 Sustaining shared-view in these seven areas of significance where the most successful leaders stand out, is part three of The Appreciative Leader handbook. 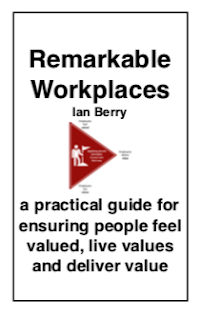 Learn more about this handbook and how to get your copy. This chapter is an addendum to the above. The fertile ground is determining what question to ask through carefully assessing the situation and therefor ensure your question is in the right context. The right question in the wrong context can cause trouble! Ploughing the ground is then to ask the question. Seeding is being silent yet completely attentive while the person or people answer your question. The nurturing lies in how well you acknowledge their answers. 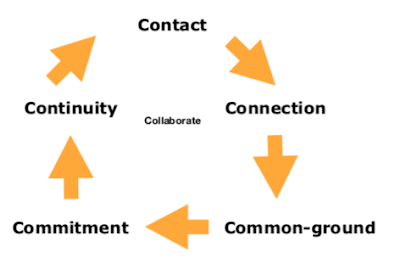 The cycle is complete (harvest) when you align answers with who people will become and what they will do next to implement their their answers and/r integrate their answers with what is already working for them. 1) In the master-class that workshopped the content herein participants prepared for the session by completing the diagnostic below which you can download here. Undertaking this yourself will give context to all that follows. 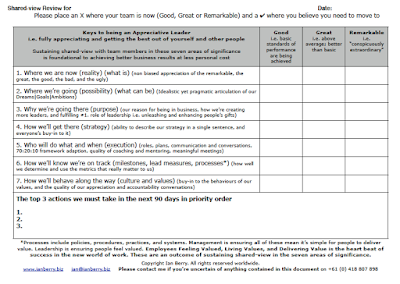 A strong suggestions would be to ask each member of your team to complete the diagnostic and indicate each of their answers on one form. 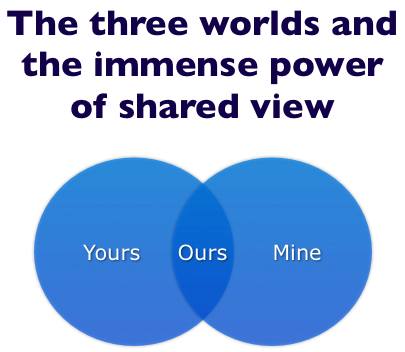 This will pave the way for great conversation leading to shared-view. What’s the greatest question you’ve ever been asked? And what’s the greatest question you’ve asked somebody else? My favourite answer was one from a female participant who challenged one of her bosses with Would you talk like that to your sister? What are your thoughts? Who can you become and what will you do next to embrace these concepts? the conversation is the work." 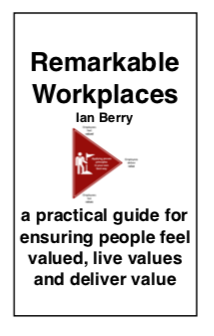 1) Access the companion resources web page and download and use 'The great questions remarkable leaders often ask' ebook. 2) Over time develop a set of questions you can ask at appropriate times. I have a list of over 100 questions that I have tried, tested and proven. I simply wait for the right context to use them. Usually I invest a great deal of time and energy contemplating which is the best question that will help this person be the best version of themselves. 3) Regularly take courses or participate in programs that will help you to continuously better your language, communication, presentation and conversation skills and attitudes.